Substantial weight reduction, thanks to the specially Supersprint developed, thin wall tubes and metal sheets. Free-flow silencer design inner tube. Precision finished joints and perfectly positioned brackets, for easy mounting and a flawless fit. Long lasting sound absorbing materials (Rock wool, with stainless steel wool wrap around silencer cores). 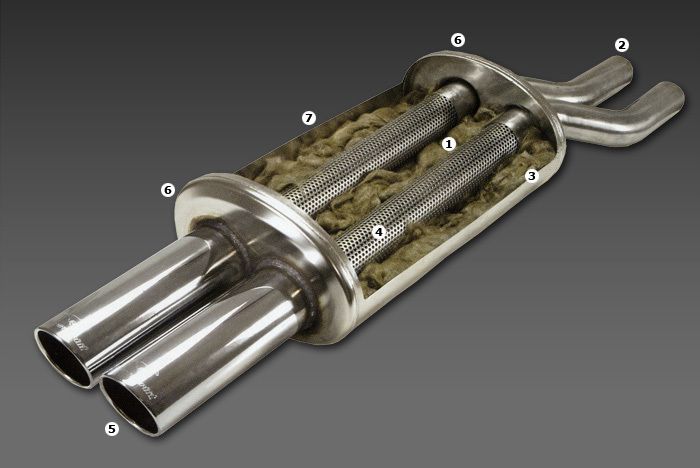 Stainless steel inner perforated tubes. 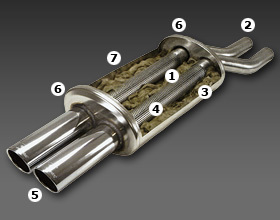 Stainless steel, chrome plated tail pipes, with inward rolled edge, chosen from over 30 different styles of design and shape, suited to each car model. Supersprint logo engraved into tailpipe.